Good evening loves! 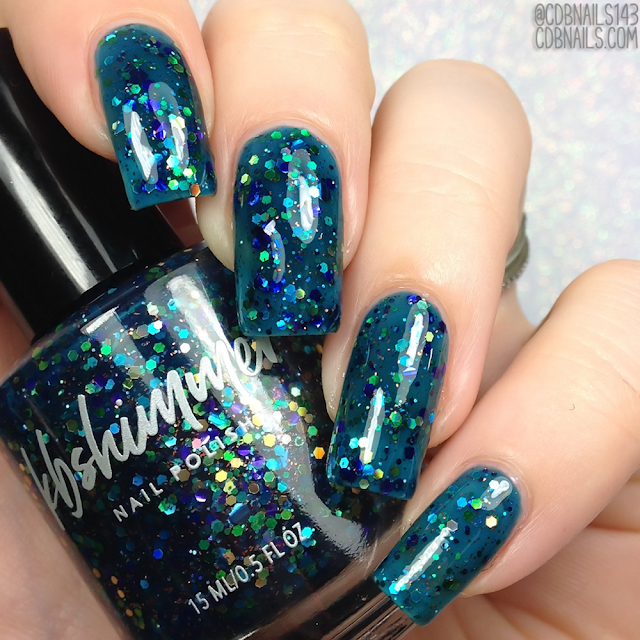 KBShimmer is celebrating their 10th year in business this month! woo hoo! In honor of this milestone they are doing something a bit different, they are releasing a throwback collection of 8 of their fan’s favorite polishes from 2012 and 2013. Which is what I have to share with you tonight! They are also running a sale at the beginning of the month and running their show special bag sale with the throwback collection launch on the 15th! Read on for more info! Described as a black jelly base to represent the oboe and clarinet, several sizes of silver, copper, and gold to capture the flutes, horns, drums, and the rest of the band. Shown here in two coats plus top coat. Dries semi matte with texture. Top coat needed for a smooth, glossy finish. Described as a creamy pink base with blue undertones sets off a scattering of large blueberry hex glitter, small raspberry hex glitter, holographic pink glitter and micro strawberry red glitter and raspberry pink glitter. Bits of ice, in the form of holographic sliver glitter complete this yummy treat. Described as a pale grey jelly color, we added several pink glitters, white and grey glitters for a polish that is soft and beautiful. 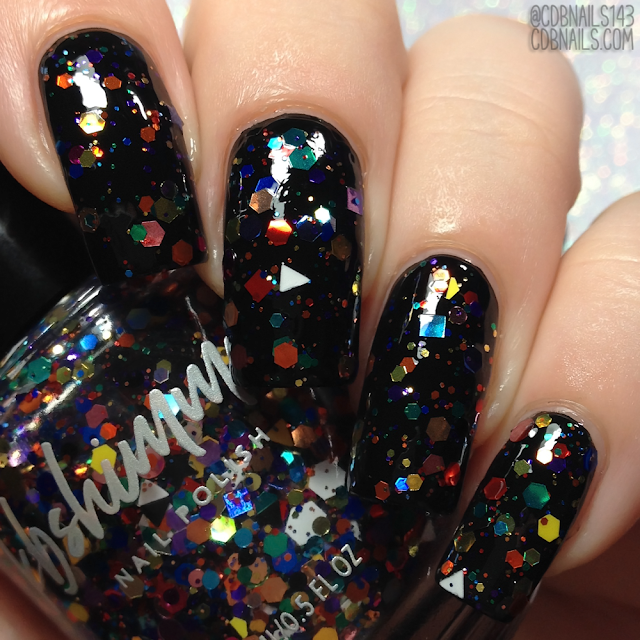 Described as a topper that is jammed with so many different glitters, we cannot list them all! 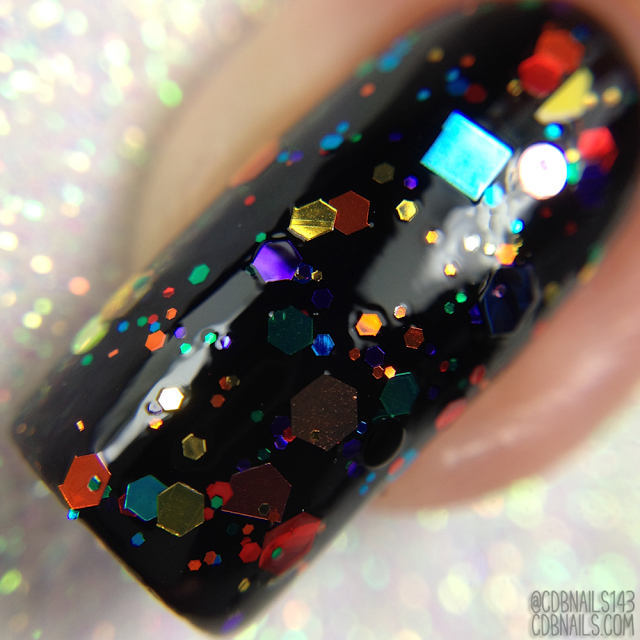 Tiny ones, big ones, all colors, bar, hex, square, holographic, matte, we could go on and on. 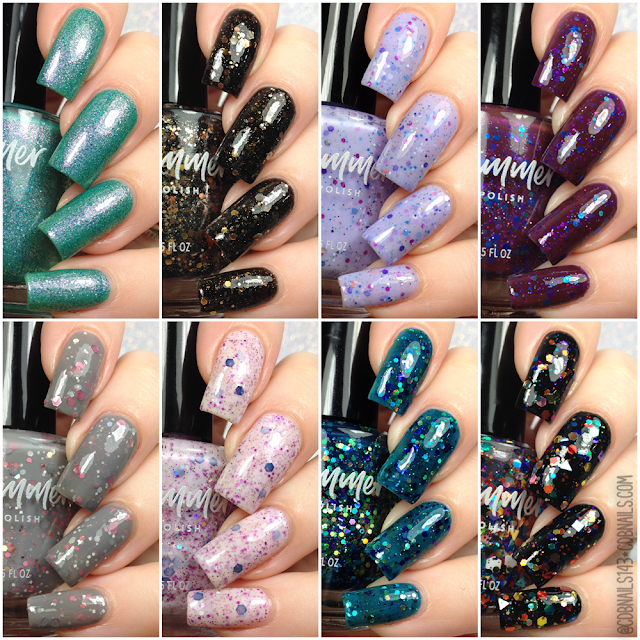 each bottle, each batch will be slightly different, but rest assured, you will not lack for beautiful glitter. 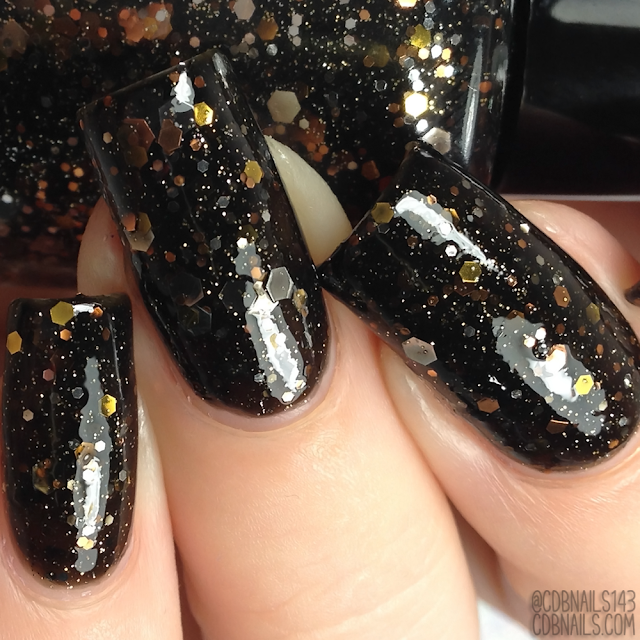 This polish is so jammed with glitter, it might seem a bit thick. 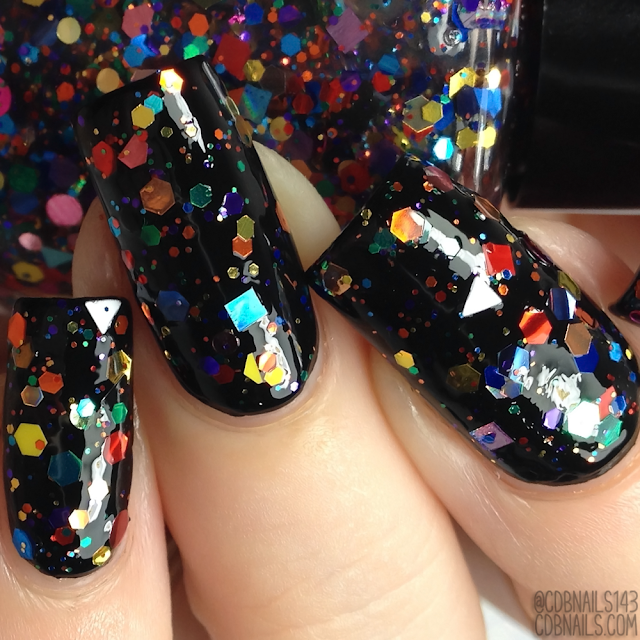 Please be aware, this polish does look different from batch to batch depending on the glitters they have to add to it at the time. 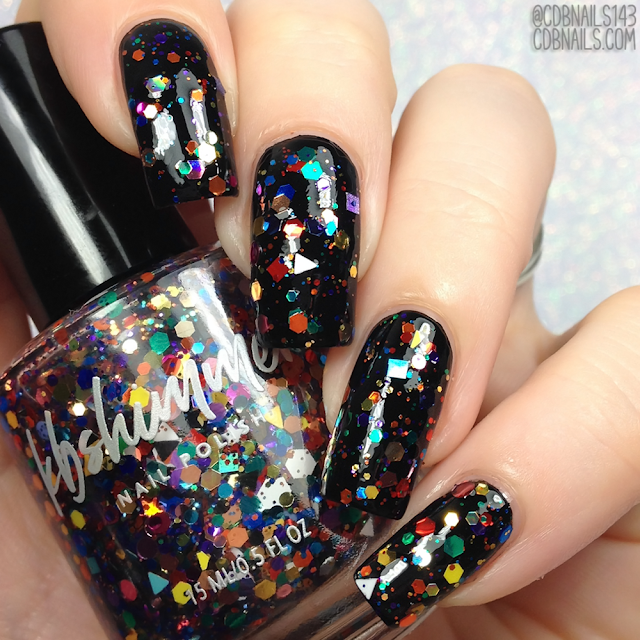 There will always be a ton of different glitters in all colors, shapes and sizes for the perfectly colorful topper. Shown here in one coat over a black plus top coat. Described as a soft purple base is filled with glitters in pink, purple, white, periwinkle and blue. 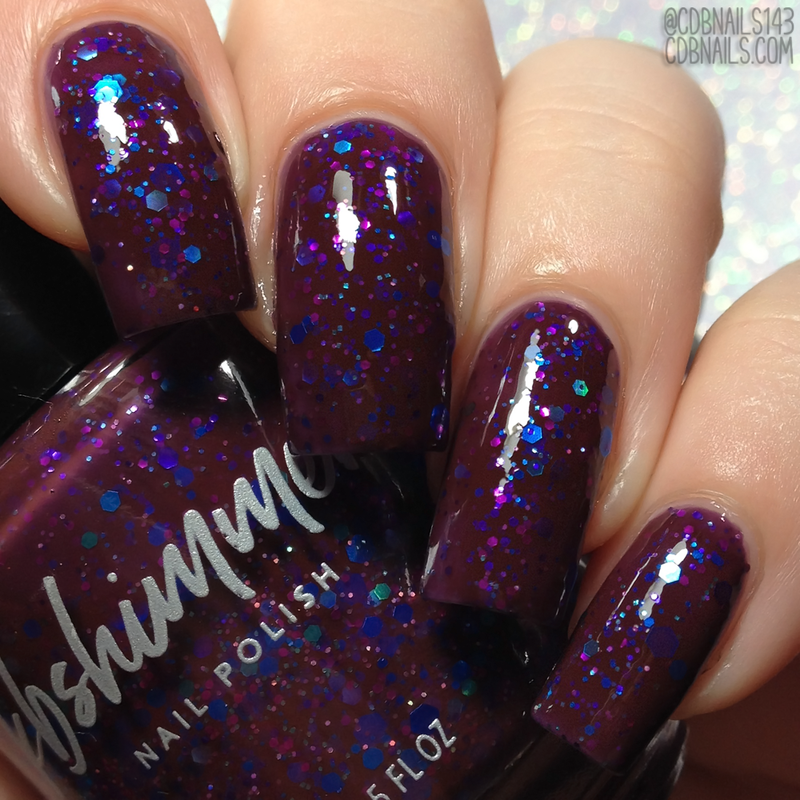 Described as a deep plum, almost burgundy wine color, this polish is loaded with blue, aqua, fuchsia, and purple hex glitters in several sizes. 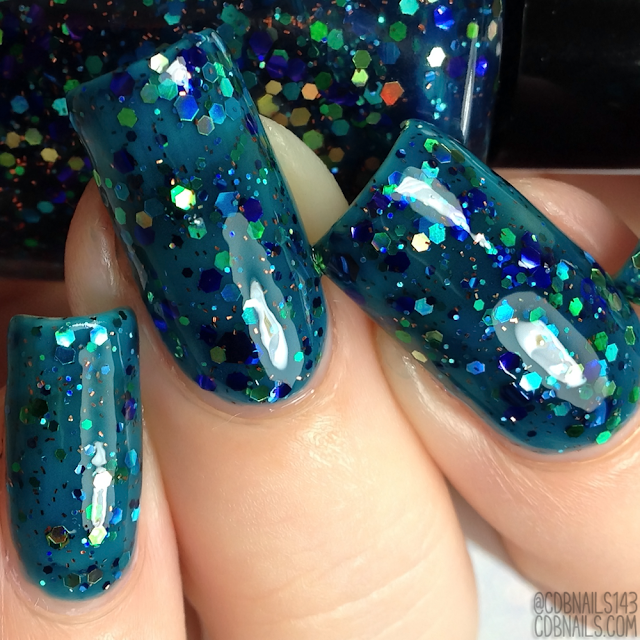 Described as a base of a deep blue green color with several sized hex glitters in teals, blues, greens, and purple, plus a hint of gold, and a pop of copper sparkle. 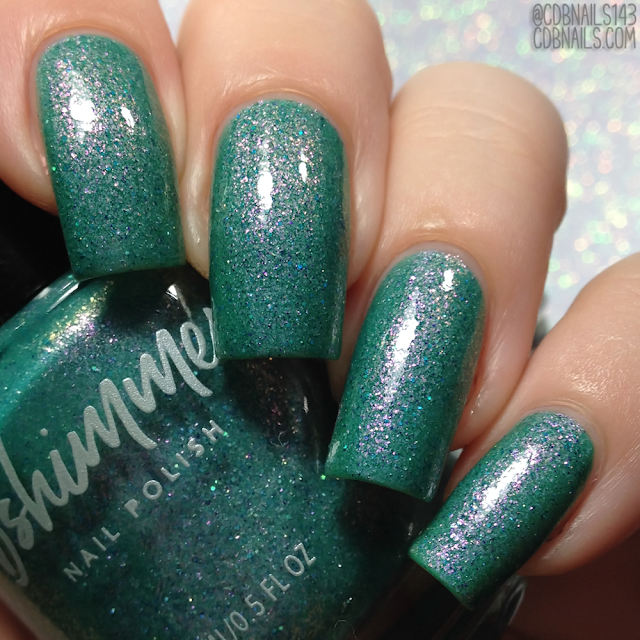 Described as a dusty teal green polish with a strong pink almost duo-chrome shimmer.